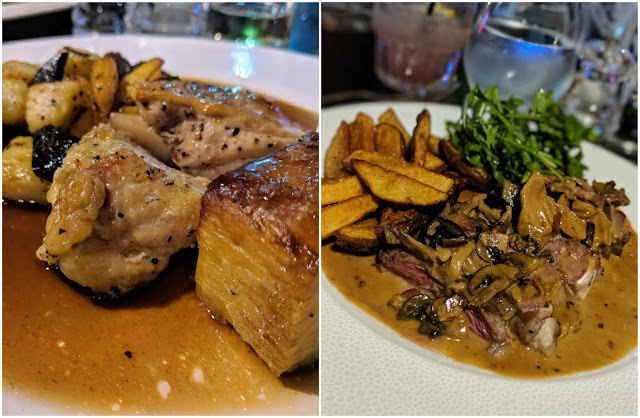 Leicester's Cultural Quarter has been needing a great new restaurant for a while and whilst Chutney Ivy is exceptional, there's always room for another great evening dining spot in the city and one that overlooks the fabulous Curve Theatre. The opening of the Queen Victoria Arts Club is quite exciting stuff and I was delighted to be invited over for a 3-course dinner. Queen Victoria isn't just a restaurant but it is also a cocktail bar, meeting spot and a private members club. 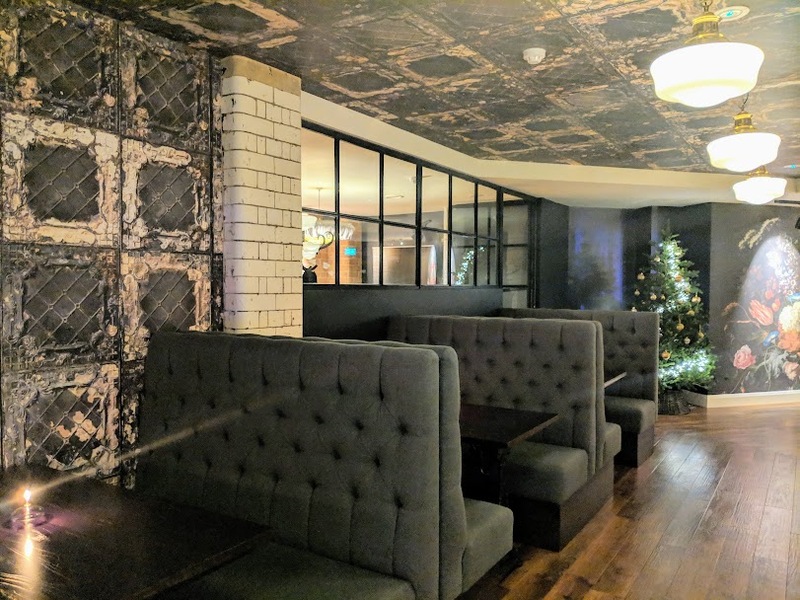 The members club aspect will be developing into the new year but the upstairs bar and restaurant are very much for the public's use. The team will welcome you for dinner or a drink at any time. The building itself is gorgeous. The grand building has undergone a huge refurbishment to make a bold statement as a dining venue. From entering through their large Victorian entrance hall with traditional black and white chequered tiles to the detail of the interior is gorgeous and it really does make the place stand out! There are a couple of rooms that would make for fantastic private dining and I really loved the overall vibe in which Queen Victoria Arts Club gave me. The menu is quite reasonably priced, with their limit being £18 for the beef or lamb dish. 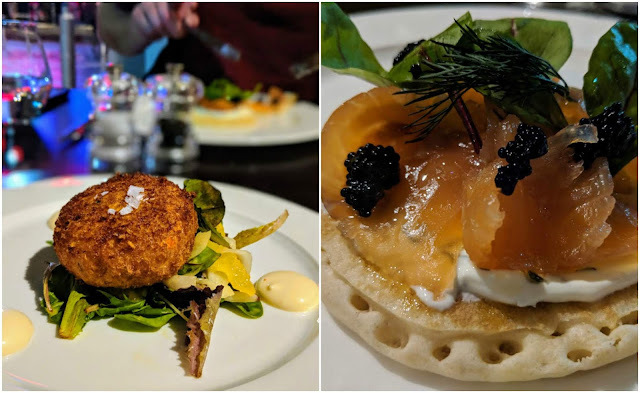 The place even has a 3-course Pre-Theatre menu priced at £21, making it ideal if you're heading out to the Curve Theatre across the way. You can make a real night of it at the theatre by heading here first. The dishes that were available are some real British classics but with an added flair of fine dining. There are a lot of starters available but Jordan dived straight into the Salmon dish cured with Koval Organic gin, lemon, and jasmine. This is served on a large blini with mackerel caviar, dill, and caper creme fraiche. I decided to try out the Fish Cake with Lime Mayonnaise and leaves. I really loved the flavours of the fish accompanied by the zestiness of the lime giving it a welcome kick. Jordan really enjoyed his main dish of Guinea Fowl with Potato Dauphinoise, Roasted Autumn Vegetables, and Ruby Port Jus. He couldn't describe how good the flavours and meat were! I've never tried Guinea Fowl until this visit and thought it was a tasty meat! I opted for the Roast Sirloin of Beef cooked medium rare with Braised Mushrooms & Cured Pork, Mustard and Brandy Jus & Hand Cut Fries. It was really delicious! The sirloin was cooked exactly how I'd like it and the sauce perfectly complemented the flavours from the meat. I definitely found that the sauce gave a strong flavour of mushroom so sometimes it overpowered the steak which was slightly disappointing but all in all such a delicious dish I'd definitely have again! 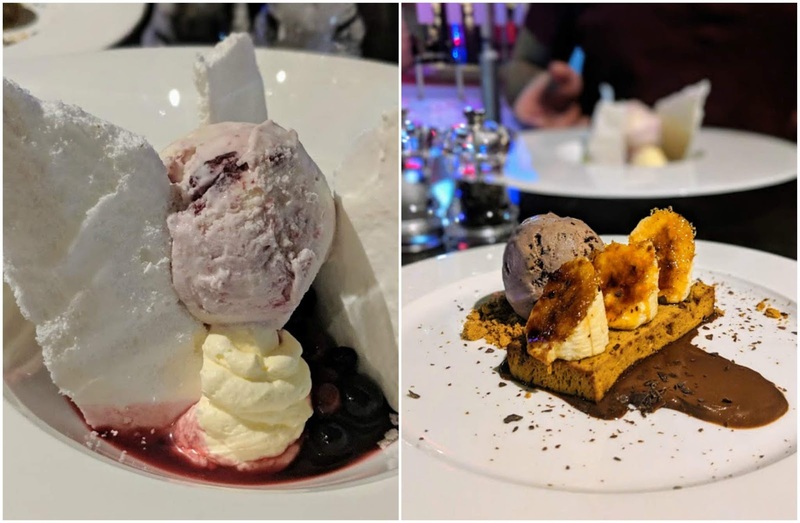 To complete our dining experience we tucked into two delicious desserts (the best part of a meal if you ask me!). I opted for a Chocolate Banana Bread pudding that came with caramelized bananas, chocolate ice cream and sauce. It was incredible and I'd eat it over and over, it's definitely the kind of pudding I'd like to recreate at home somehow. Jordan opted for a Winter Eton Mess which looked just as good. The team at Queen Victoria Arts Club were incredibly passionate and consistent in providing us with great customer service. We loved chatting with the manager afterward about his visions for the venue and how hopefully it'll become an asset to Leicester's Cultural Quarter. I'll definitely be heading here in the future; even if it's just for some dessert and a cocktail before a show! 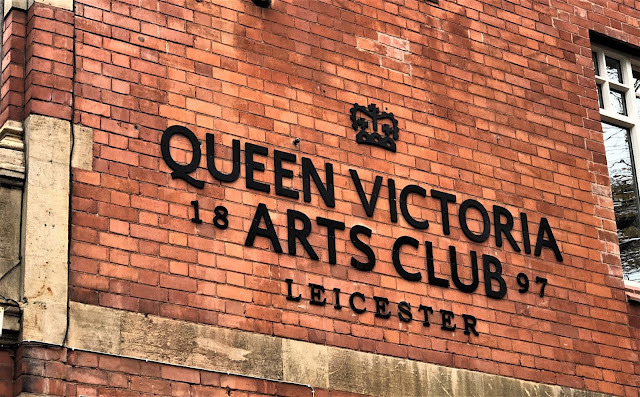 You can find out more about the Queen Victoria Arts Club by visiting their website here. *complimentary 3-course meal in return for an honest review.